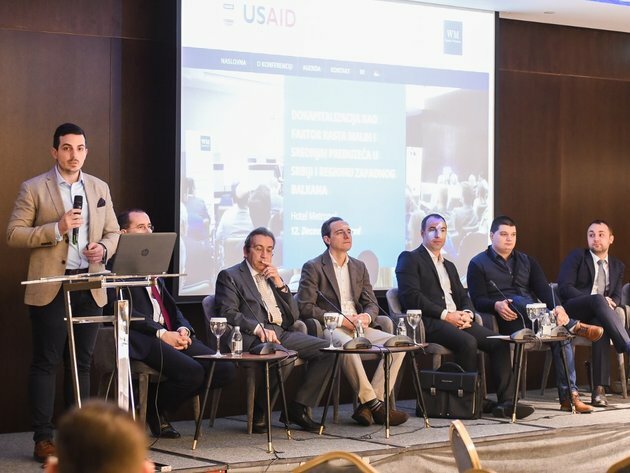 With the support of the USAID Cooperation for growth project, on 12.12.2018 in the Metropol Hotel in Belgrade, WM Equity Partners successfully gathered over 70 representatives of SMEs in Serbia, as well as a significant number of representatives of the banking sector, university representatives etc. 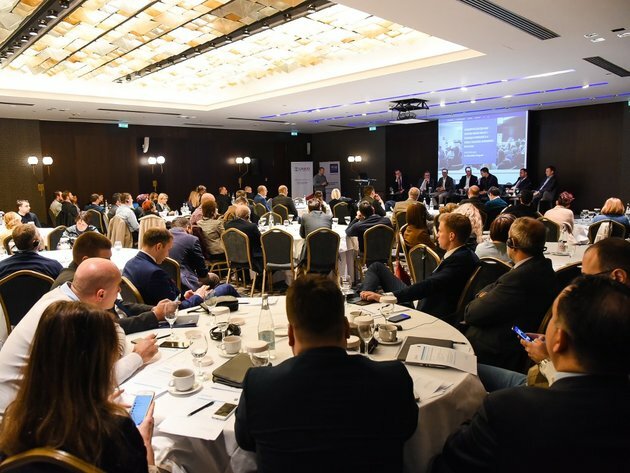 Entire event brought together nearly 150 participants and 14 speakers on SMEs equity financing in Serbia and the Western Balkan region. Serbian economy consists of over 10,000 active small and medium enterprises, employing over 500,000 workers. These companies employ almost 50% of all employees in Serbia and with the same amount participate in the creation of total economic revenues in the territory of Serbia. Over the past five years, their financial position has been continually improving and there is a positive trend in terms of revenue growth and profitability, and thus the capacity for their financing. However, despite its importance for the overall domestic economy, small and medium-sized enterprises in Serbia continue to face a sizable gap between their financing needs and available external sources of financing. The objective of this one-day conference was to present financing to small and medium-sized enterprises in Serbia through additional equity capital, as well as to give them the opportunity to meet regional representatives of investment funds and the possibilities for financing further growth of their business. The process of organizing the conference included four commercial banks that recognized this initiative as an opportunity to support their clients, who with additional equity capital would additionally raise their level of business and borrowing capacity. Additional equity is identified as a complementary rather than a competitive source of financing to traditional banking products. The conference was organized through two panel discussions and focus groups, during which representatives of small and medium-sized enterprises in direct contact with financiers could discuss their perspectives for obtaining additional capital. Within the first panel, representatives of international financial institutions (EBRD and DEG), representatives of investment funds from Poland (CVI) and Bulgaria (PostScriptum), as well as representatives of local SMEs that had experience with investment funds (BeotelNET and City Expert), presented their vision of business development through additional equity capital in the Western Balkans region. The key conclusion of the first panel is that Serbia needs to build a complete financial system with smaller but locally operating Private Equity and Venture Capital funds, having in mind that large international funds mostly seek greater investment opportunities, thus leaving the largest number of domestic SMEs unavailable to this source of financing. Panelists pointed out that investment funds are partners to SMEs sharing their risks, actively participating in their business development, and because of this, they expect a return that is higher than the interest rates charged by banks. It was also noted that Bulgaria has made tremendous progress over the past six years in terms of supporting their local SMEs through equity financing, and Sofia was recognized on the Forbes list as one of the Top 10 destinations in Europe to open up the company. Serbia has the same opportunity, so panelists pointed out that they believe that Serbia will use its opportunity in the coming period. Finally, representatives of SMEs pointed out that, with the support of the funds invested in them, they are working on regional expansion and opening their representative offices in Slovenia and Bulgaria. The second panel brought together representatives of SEAF and Blue Sea Capital investment funds, representatives of UniCredit Bank, Eurobank and Mirabank, as well as local company GOMEX, which has received equity investment from SEAF investment fund nearly 10 years ago, which afterwards, with its active participation in management, significantly influenced growth and development of the company itself. During the panel discussion, the participants had the opportunity to hear the results SEAF and Blue Sea Capital realized in Serbia and the region, as well as the basic steps in identifying and evaluating potential investments. The vision of business development was noted as one of the key factors in the presentation and negotiations with potential investors. Participants also had the opportunity to hear from representatives of the investment funds SEAF and Blue Sea Capital, as well as GOMEX, the added value that investment funds bring into every day business operations of their portfolio companies. In addition to the investment itself, organizing the corporate structure, adequate control and planning mechanisms, supporting the expansion of the market and adopting new technologies are just some of the components that have contributed to the intensive expansion and business success. Representatives of the banking sector also pointed out that local SME sector has been expanding over recent years and that their level of indebtedness is relatively low, but also has a lot of room for improvement. Once again it has been emphasized that banks and investment funds are natural partners that provide complementary sources of financing to companies and that finding the right mix of these sources of financing is the key to sustainable business development. In the part of the challenges in the segment of financing through additional equity, it was pointed out that this type of financing has not yet been developed in the region, at least for the SMEs sector. The participants pointed out that most of the small and medium-sized companies need to be further informed about corporate governance issues, the importance of having adequate planning and control mechanisms, adequate financial and accounting records, etc. Based on the participants' survey, it was concluded that most small and medium-sized enterprises have not had experience with investment funds so far, and that they think that SMEs in Serbia are not sufficiently informed about this source of funding, and that this type of educational event should be organized more often.